A couple of days ago, I touched on Narrative's recent changes. You can read about them here, or you can keep reading this post as it will cover them in more detail. For starters, they've announced their official beta launch. Write this date down: April 2, 2019. To prepare for the launch, they've made some changes to their reputation scoring system. It's a good thing, I think, but it has caused some controversy on their community forum. As it turns out, I've got a higher reputation than at least one person who has been active on the platform for longer than I have and has had no negative actions against them (in contrast, I was suspended from making Niche suggestions for seven days because I had one rejected by a community vote). If you're familiar with the old Narrative reputation scoring system, you might remember SimpleRep. That's gone away and has been replaced by Conduct Status. 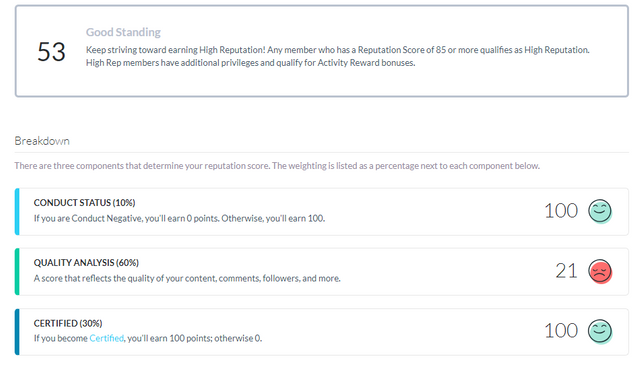 SimpleRep made up 40% of the total reputation score whereas Conduct Status is only 10%. Content quality went from 40% of your total reputation to 60%. Certification makes up the remaining 30% (it used to be 20%). To get certified, you have to prove you're human by uploading images of approved government-issued documents. You also have to submit a selfie of you holding a piece of paper that reads "Narrative certification" and includes the date. And you've got to pay $10 (later, the price will go up to $15). If you screw this up, you'll have to do it again and it will cost an additional $5. Certification is voluntary. It's not required to participate on the platform as a basic content creator. However, if you earn $600 or more or you plan to be a niche moderator or join The Tribunal, you'll have to get certified. There has been a little bit of controversy over the certification process on Narrative's community forum. Some people didn't like that they had to pay, and some people were simply surprised they had to pay. As far as I'm concerned, it's a small thing. Anyone who creates content and earns even modest rewards should get that back in a fair amount of time. I'm not going to claim Narrative is perfect. It has its issues. 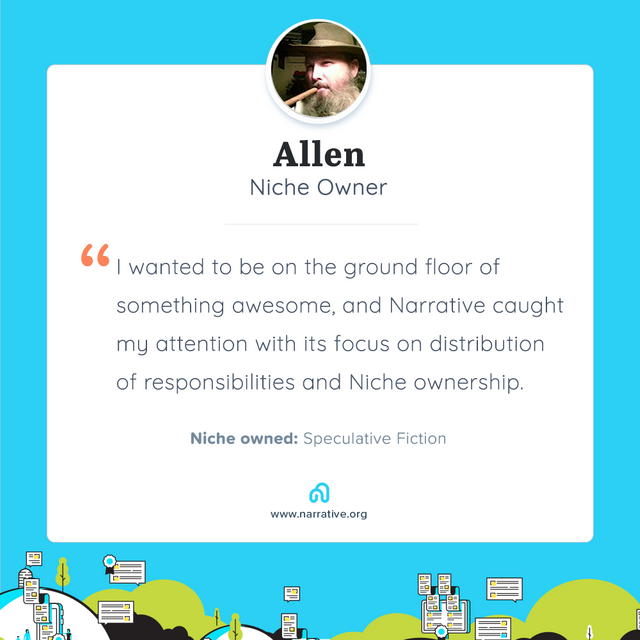 One of the big points of discussion among early adopters and the company is content creation for Niches that have yet to be purchased by anyone. The Niche approval process includes a bidding auction where the highest bidder owns that Niche for a year and collects a percentage of rewards. If no one owns a Niche, though it has been approved by the community, it's not active and can't be posted to--even by people with a valid and sincere interest in posting to that Niche. Several early adopters (I'm among them) feel that content creation should be allowed even for those Niches that have not been purchased, and that could drive up the value for those Niches thereby increasing the likelihood that they will be purchased. So far, Narrative staff haven't budged. Despite several identified flaws, beta launch is on the way. I still think Narrative is worth playing around on for a while to see where it goes. 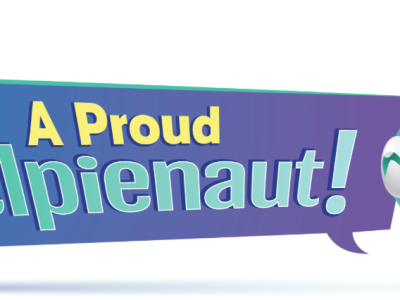 If you haven't already, join me for the beta launch. I've cooled on Trybe a little bit since joining, but I have by no means given up on it. A part of the reason for my cooling is because I went to log in not too long ago and discovered they'd been hacked. It's not altogether too surprising since the platform is built on WordPress. I like WordPress, but it is open source and subject to being hacked. No damage was done other than the site was offline for a little while. I don't think the blockchain itself was penetrated. Aside from that, I have only so much time in the day and I can't be everywhere. So far, Steemit and Narrative are my platforms of choice. Trybe, however, is a good third. Just in the last couple of days, they launched a job board. That's awesome! Crypto hounds now have their own dedicated job board. If you are looking for blockchain or cryptocurrency projects to work for and get paid in crypto, this could be a good place to look. But it's still too early to tell. As of now, there are only five jobs listed. Two of them are for Trybe. Besides allowing companies to post job openings, the Trybe job board will allow job seekers to post their resume. Joining is currently free, but it looks like they're planning to charge 1,000 Trybe for membership. I wish they wouldn't do that. There's no better way to kill a service than to charge for it before its potential customers have decided it provides any value. That's Narrative's problem, and now it's Trybe's problem. How long will it be before they bring out the Kool-Aid? Anyway, there's the news for today. Enjoy it with your favorite beverage. Hello @blockurator! This is a friendly reminder that you have 3000 Partiko Points unclaimed in your Partiko account! I do? I've never used it. Hello! Partiko is a Steem app and you can login Partiko directly with your Steem account!